A new post on the official forums for Albion Online has details on the games financial model in the build up to release with the developers informing the community that the game will not be free-to-play at launch. The team also announced the extended dates for the current Closed Beta period which will now run through until August 1st, 2016. [quote cite=”Bercilak, Founder/CEO Sandbox Interactive”]Our goal is for Albion Online to be a long term success, therefore, we only want to release the game when it is truly up to its potential. The extension of the closed beta period will allow us to make significant improvements to the game. For this reason, we are putting the free to play plans on hold as well. Making the game ready for a free to play model would take up significant development time which we would much rather use to make a better game. Free to play would also create a lot of risks for the game – spamming, botting, world too small, etc – which we do not want to take if it can be avoided. When the game goes live, current founder’s packs will be discontinued and replaced with starter packs, which will give full access to the game but offer less value for money than the founder’s packs as this is only fair to all founders who help us in making the game. Of course, all founder’s will automatically get full access to the game on release as well. 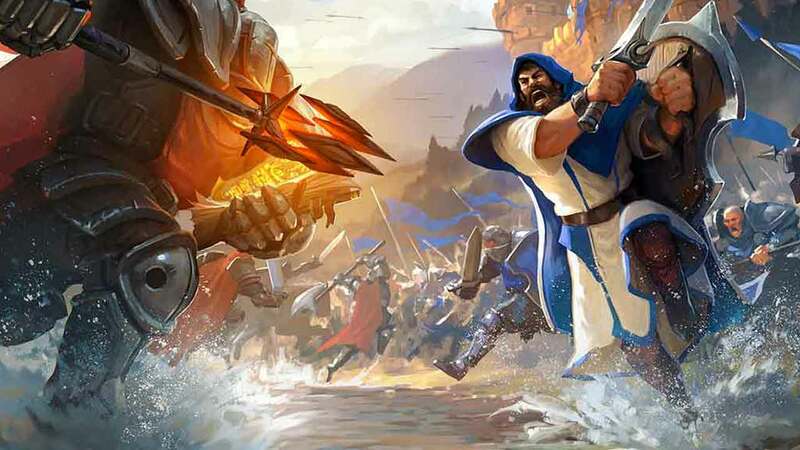 It doesn’t appear that the team have totally dismissed the idea of free-to-play at some point following the games official release but for now it’s likely that Albion Online will launch under a buy-to-play model with buy once, play forever.